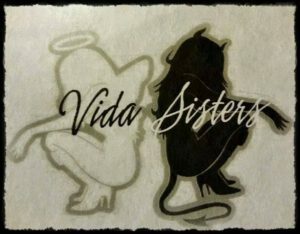 Plain Talk is excited to host the wonderful sounds of the Vida Sisters on Saturday, April 28 at 12 pm. The Vida Sisters, Bobbie Vida Van Roekel (vocals) and AnnaLyn Vida (vocals/guitar), are from Manilla, Philippines, and cite a wide range of musical influences. They describe their music as a mix R & B, country, rock, ballads, jazz and Latin flair. We'll be out on the patio, if weather allows, slinging sandwiches and coffee at the same time. Come get your brunch on and listen to some good tunes! Railroad Bill's Dining Car is pleased to announce that we've added Saturday hours. Starting Saturday, April 21, we will be open every Saturday from 7 am to 2 pm. 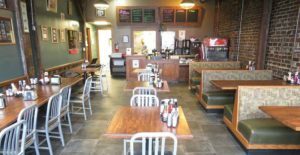 Railroad Bill’s, located in the East Village's northeast corner, offers a classic diner breakfast and lunch menu. Menu highlights include items made with farm fresh eggs from our pals at nearby Raccoon Forks Farms, along with innovative vegetarian and vegan dishes. Also, be sure to ask about our weekly specials. Stop in and see us on Saturday. We saved you a seat! 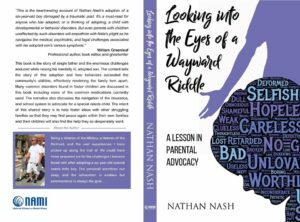 Author Nathan Nash will be joining us at Plain Talk Books & Coffee on Saturday, April 14 at 11 am to celebrate his new book, "Looking into the Eyes of a Wayward Riddle." Nash's book is about his experience adopting a six-year-old boy with developmental disorders. "It's a must-read for anyone who has adopted, or is thinking of adopting, a child with developmental or behavior disorders," wrote author William Greenleaf about Nash's book. "But even parents with children unaffected by such disorders will empathize with Nate's plight as he navigates the medical, psychiatric, and legal challenge's associated with his adopted son's various symptoms." Stop by and learn more about Mr. Nash and a topic that is near and dear to our hearts. Plain Talk is operated by Optimae LifeServices, a mental health care services provider, and provides jobs and job training to individuals with disabilities. We hope to see you over the lunch hour on Saturday!